Raised over $500,000 thanks to our customers over the last five years for local Yuma schools through Chevron's Fuel Your School program. 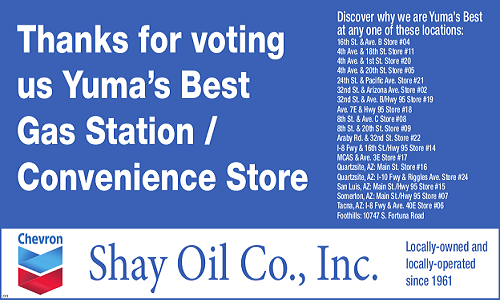 Thank you Yuma Sun's readers for voting us the best gas station/ convenience store from 2014 through 2018 . It's nice to be noticed for our mission of providing great customer service. Thank you for your support! Java City's green coffee beans come from only the most distinctive and meticulously maintained coffee farms. Once the best farm is selected, the beans are carefully roasted using authentic Italian brick-lined roasters that provided radiant heat, allowing a slower, longer roast. 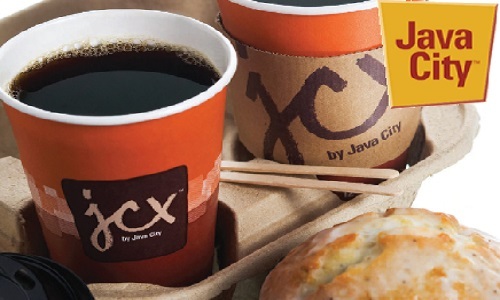 Java City coffee is available at all our locations. Chevron | Shay Oil Co.,Inc. Copyright © 2019 Shay Oil Co., Inc.